Local authorities in England have replaced one in 10 of the homes sold through right to buy since discounts were increased in 2012. Government figures show there have been 49,573 sales since the scheme was relaunched, while 4,594 have been started on site or acquired by councils. John Healey, shadow secretary of state for housing and planning, said government decisions were “leading to a huge loss of genuinely affordable homes to rent and buy at a time when they’ve never been needed more”. What is not being said is that all of this is entirely irrelevant, The housebuilding statistics are here. Local authorities started perhaps 1.700 houses last year, out of some 150,000 for the country. They're 1% of the market, no more. No, this does not mean that "affordable housing" is not being built (quite apart from the fact that a house people can afford is affordable). Because we simply do not use local authorities to build such housing these days. That is now done by housing associations. They have taken over that 15% of the market that used to be councils. Local authorities and their activities in the housing market are simply an irrelevance. We don't use then as we used to, we've changed the structure of the system. Bleating about irrelevances is, well, it's irrelevant. This paper provides new evidence on the effects of moving out of disadvantaged neighborhoods on the long-run economic outcomes of children. My empirical strategy is based on public housing demolitions in Chicago which forced households to relocate to private market housing using vouchers. Specifically, I compare adult outcomes of children displaced by demolition to their peers who lived in nearby public housing that was not demolished. Displaced children are 9 percent more likely to be employed and earn 16 percent more as adults. These results contrast with the Moving-to-Opportunity (MTO) relocation study, which detected effects only for children who were young when their families moved. To explore this discrepancy, this paper also examines a housing voucher lottery program (similar to MTO) conducted in Chicago. I find no measurable impact on labor market outcomes for children in households that won vouchers. The contrast between the lottery and demolition estimates remains even after re-weighting the demolition sample to adjust for differences in observed characteristics. Overall, this evidence suggests lottery volunteers are negatively selected on the magnitude of their children’s gains from relocation. This implies that moving from disadvantaged neighborhoods may have substantially larger impact on children than what is suggested by results from voucher experiments where parents elect to participate. This is over and above the well known finding that labour immobility reduces employment levels. And in the British housing market there's nothing so immobile as a council tenancy. We're always going to have some form of housing subsidy for those who simply cannot manage themselves. But it should be a subsidy simply paid out, not the creation of estates of immobile people. House prices in the South East of England would have been roughly 25% lower in 2008 and perhaps 30% lower in 2015 if the region had planning regulations of similar restrictiveness as the North East of England. Today housing space in England – particularly in London and the South East but also in other urban centres and large pockets of rural England – is among the most expensive and unaffordable in the world. Hilber and Vermeulen’s study shows that this is in large part due to supply constraints imposed by the planning system. •	The first type is regulatory and dates back to the Town and Country Planning Act of 1947. The UK planning system since 1947 is extraordinarily rigid by world standards. Urban containment through ‘green belts’, strict controls on height, lack of fiscal incentives at the local level to develop and ‘not in my backyard’ (NIMBY) behaviour facilitated by the planning regime all make it very difficult to build new homes. •	The second type is physical. Local scarcity of brownfield or greenfield land makes residential development in desirable locations very costly. •	The third type is uneven topography. It is very difficult to build new homes in places with steep slopes. So which of the three types is most important in the case of England? The researchers use data from over 350 local authorities from 1974 to 2008 to explore this question. Their findings strongly suggest that regulatory constraints are the main culprit. As we have indeed been saying. So, abolish the Town and Country Planning acts and return us to the 1930s, the last time the private sector kept up with housing demand. The point being that markets really do work and regulation of them often does not. The company uses figures from the annual survey of hours and income to work out where it can build, and has identified other parts of the UK where it could construct affordable two-bedroom semis for couples. Across the north of England it thinks it can build homes affordable to those on a household income of just £23,000, and going further south, including Kent, believes it can sell to those earning £27,000. Harrison says this would require a different approach, possibly involving local authorities selling the land at a lower price but keeping some equity in the houses. The actual build cost of a two bed semi is in the £80k range, that for a larger 3 bedder perhaps £100k. So, why isn't it possible for people to build to that price in the South? And ifthey were, why aren't we inundated with firms looking to make the 75% margins that would come from doing so? The answer being that we've an idiot planning system which determinedly, purposefully, with malice aforethought, refuses to licence land for building houses upon anywhere near people would like to have a house to live in. We're not going to solve the housing problem until we solve this problem. The correct answer being to tear up the Town and Country Planning Acts and go back to what prevailed the last time the private sector managed to house Britain, a free for all. The thing being that we really did learn this lesson last century: markets work and planning doesn't. The Soviet Union's economy collapsed into rubble because they tried to plan the whole economy. The parts of our economy which don't work are those subject to that very same mistake of planning. Instead of displacing people, gentrifiers tend to add to a local area’s population through new builds and property conversions (like warehouses and former industrial buildings). Although rents might rise for existing tenants as overall demand for the area rises, the involuntary displacement rate is very small - in one US study, it is 1.4% compared to a city-wide average of 0.9%. . . . It often feels like the staunchest opponents of gentrification are other gentrifiers who got there a bit earlier. The evidence from the US and the UK is that gentrification raises the incomes of people living in affordable homes and improves their credit scores. And this is not even to mention the reduction in crime that usually takes place as well. Read the whole thing here. In the UK the end of the second world war led to increased efforts by planners to shape the direction of cities. Destruction in the Blitz was to many town planners and architects 'a blessing in disguise', allowing them to reconfigure cities in a more rational way. But cities are a good candidate for an example of 'spontaneous order'—that amorphous concept popular with libertarians—where information is dispersed so widely that central plans don't work as well as a common knowledge framework and private direction. What I hadn't realised until recently was that this process went on extensively even in the USA. The University of Oklahoma's Institute for Quality Communities has a wonderful set of pages comparing aerial photographs of cities 60 years apart—in the 1950s and the early-2010s—and the destruction wrought by planners is evidence even from a cursory glance. The pictures of Midwestern cities are particularly striking. Kansas City, which in 1955 has the look of a hardboiled-era Los Angeles from above, all consistent blocks, leafy but fairly densely populated, is saddled with an incredible set of highways and junctions right through the middle of the city (I-70 and I-435). Some Spaghetti Junction-esque interchanges required what looks like a dozen blocks to be bulldozed. In the US, this movement came partly from Harry Truman's Housing Act of 1949 and surrounding bills. This provided huge federal funds ($3trn in today's dollars) to buy up and demolish housing—local government would pay the remainder to get new buildings up. It also came partly from Dwight Eisenhower's Federal Aid Highway Act of 1956, which did a similar thing but for giant roads. Perhaps the most striking lesson from these illustrations is one that should already be well-learned: density needn't be unattractive. Just as Pimlico and Chelsea are packed with people but among the most desirable places in the world, the 1950s versions of great US cities were denser but prettier. A lot was lost when trying to reconstruct them from the top. They say that lightning doesn't strike twice, but unfortunately tube drivers never seem to stop. It is expected that there will be three more tube strikes in the coming five weeks (on 27 January, 15 and 17 February), for a number of predictably dubious reasons, with the main ruckus surrounding driver’s pay and the Night Tube. The tube driver’s union, Aslef, is up in arms about the fact the government has refused to sit down with them since November to discuss the pay of their drivers -and it’s no wonder they don’t want to. This same debate has been dragging on for what seems like forever, back and forth between London Underground and some very uncompromising Union leaders. The Night Tube was originally planned to open back in September 2015, but unfortunately it was pushed back as no agreement could be reached. The latest round of proposed strikes come after the government has already offered a 4-year pay plan for existing drivers (a compromise up from their original 3-year offer) and an agreement to hire new part-time drivers to manage the Night Tube service, in order to avoid ‘overworking’ current employees. It all sounds rather frustrating, but the real argument behind why these strikes are so misguided comes when we break down the figures. The introductory salary for a newly-qualified tube driver is an incredible £49,673 a year, with the average driver working on average only 36 hours a week. They also enjoy other perks such as 43 days annual leave, and drivers can expect to earn as much as £60,000 after five years service. Those figures are ones that the average person yearns for. Compared to other public sector jobs, tube drivers also have a pretty nice income. The average starting salary of a teacher is only £22,023 and a fire fighter earns £21,583, despite the fact that they work 20 hours more a week and get 15 fewer days annual leave a year. At this point, many people have lost a lot of sympathy for the tube drivers, but it gets worse. 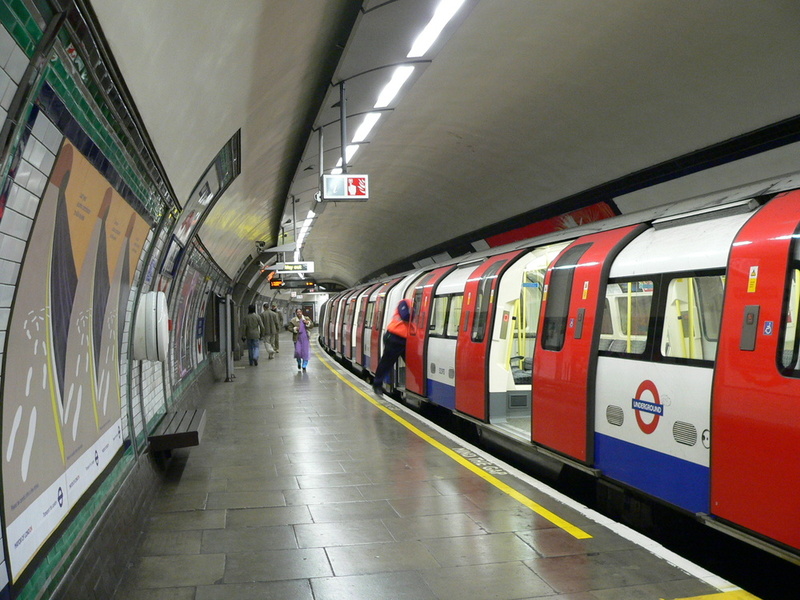 The Union leaders have repeatedly rejected London Underground’s various pay package offers, including a 2% pay rise, followed by guaranteed pay rises for the next three years, and there was even talk of a bonus scheme of up to £2000 for drivers offering to work night shifts on the new service. But when this was still met with of cries of concern about ‘forcing drivers to work anti-social hours’ (because 36 hours a week is already so strenuous), London Underground changed their strategy. They have instead proposed to open applications to external candidates to work part-time on the night shifts. Steve Griffiths, the chief operating officer for London Underground, has said that the new part-time drivers will be “on permanent, part-time contracts with the same rates of pay and the same benefits as existing drivers.”. Sounds like a win-win situation for everyone, right? Drivers won’t be forced to work night times, and the night tube can go ahead, generating 200 new jobs and potentially contributing£6.4 billion directly to the London economy within the next 15 years. But no, Aslef are still unhappy with this agreement, which Boris Johnson has called a “no-brainer”. Boris also said that since applications have opened for 200 new part-time drivers, more than 6,400 applications have been received- showing there’s clearly plenty of people willing to work for the current pay, and making the Union’s demands look even more unreasonable. Striking is obviously not the answer here, and is a sign of an overly-powerful union in an industry where competition is impossible to achieve. The balance between protecting worker’s rights and the public interest is a delicate one, and in the case of the tube strikes it is becoming an increasingly important issue to resolve. Drivers already earn over double what other public workers do, for nearly 20 fewer hours work a week. It seems foolish that although Aslef’s demands continue to be met, each day of striking is expected to cost other workers and private enterprise £300 million in lost productivity, and delaying the opening of the Night Tube continues to withhold economic growth in London. It’s about time the union leaders piped down on the whole issue- if drivers are unsatisfied with their jobs, there are 6 and a half thousand others who would happily take over. Open up the labour market for tube drivers and the issues surrounding pay will quickly subside. Ministers want to break the stranglehold on the country’s building industry, with eight developers responsible for more than half of the homes built every year. Under the plan, the Government will arrange for planning permission to be granted at five areas in England and then offer the sites to developers. The sites, which comprise 13,000 homes, will be offered in parcels of 500 homes each to smaller house builders. We do not believe the idea that the housebuilders are trying to maximise profits by dribbling housing out onto the market at all. We think they're being entirely rational in keeping a stock of perhaps 6 years of housing plots simply because it takes 6 years to move currently unplanned land along to something that has been built upon. Just as we rather expect a coffee shop that gets weekly deliveries of beans to hold a week's stock of beans, one enjoying daily deliveries to keep only a day or so's stock. To us therefore the answer has always been blow up the planning system so as to allow more building. But let's say that you do believe the landbanking story (although your believing it will put you in company with Polly Toynbee, not somewhere an economic rationalist ever wants to be intellectually). So, if you think there's a cartel monstrously and outrageously hoarding building sites, your response would be to create more building sites of course. Which is what is being done. But instead of creating enough for 10% or so of current new build you would instead, well, you'd blow up the planning system and make absolutely sure that there were many potential building sites, wouldn't you? You would so expand supply that there could be absolutely no chance of cartel, monopolistic or oligopolistic behaviour. We would return to the planning system of the 1930s. Which was, actually, the last time the private building industry produced the sort of volume of new build we think the country needs and or desires. And which also, as matter of simple historical fact, dragged the country up out of those Depression doldrums. Hmm, more housing, cheaper housing, an economic boom from the building of it all and we get to kill off a pernicious bureaucracy to boot. All sounds most wonderful: and all we have to do to achieve it is carry out that most enjoyable task of killing off that pernicious bureaucracy. As we've said around here before often enough, repeal the Town and Country Planning Act and she'll be right. And as we also like to emphasise around here, the solution to troubles that government is trying to deal with is often to stop government doing the damn fool things it is already doing, nothing else. And to complete the trifecta, as we also like to note, it's surprising how often stopping government from doing something is the correct solution to our woes.